Next time you hit the road, pack these reusable, space-saving, and lightweight items. It seems like airlines are placing new restrictions on luggage everyday. With bag space at a premium, consider packing items that have more than one use. Reduce clutter and free up space with these 10 multipurpose items. There is no reason to carry four or five bottles of cleansing liquids such as body wash or shampoo. When you get down to it, it’s all soap. So consolidate by choosing a mild shampoo for all your cleaning needs. Body Soap – In addition to using shampoo to wash your hair, you can use it to wash your body and as a facial cleanser. Laundry Detergent – Shampoo works just as well for washing clothes…and it smells better, too. Dish Washing Liquid – Use it to clean dishes in poorly-stocked hostel kitchens. This waxy string is not only great for getting food out of your teeth, it also has other practical uses. Clothesline – Double up a length of floss and string it across the room for a place to hang socks and undies. Thread – You can use this super-durable string as thread for rips and tears. Knife – Dental floss won’t cut through a steak, but it will nicely slice cheese and bread. Sarongs are meant to be worn, but there is no limit to other ways this strip of fabric can be used. Use it to towel off. Hang it as a curtain for privacy. Tie the ends to make a bag. Use it as a beach mat or picnic blanket. Never rent sheets at hostels again. This go-go gadget is a must for travelers. 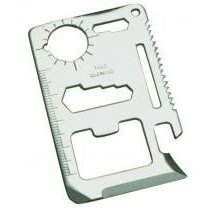 Swiss Army makes pocket widgets that range from a simple knife to a 34-use mega tool. 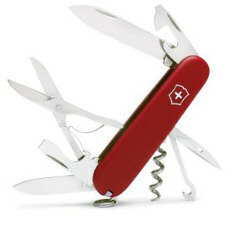 Note that airlines will not allow you to carry on a knife so throw this gadget in your checked luggage. These little metal clasps are a lifesaver when it comes to holding fabric together. But they have a few other uses as well. Clothespins – After stringing up your dental floss clothesline, hang your socks up to dry with a safety pin. Backpack Security – A safety pin won’t replace a lock, but use one to connect a pack’s zippers for a little added security. Needle – Turning a safety pin into a needle is tricky, but it can be done. Use smaller gauge pins to minimize the size of the holes you’ll leave in your clothes. Alarm – Leave your alarm clock at home and use the wake-up function on the watch instead. 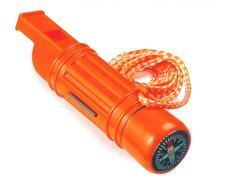 Compass – The built-in compass will help keep you headed in the right direction. Thermometer – Helps you monitor the temperature to help pick appropriate clothing. 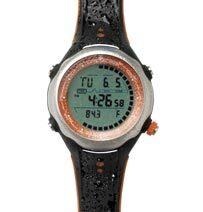 Altimeter – Keep an eye on your altitude with the altimeter function. Timer – Just in case you need one! Unless you’re heading to a rainy destination, you might pass up the poncho while packing. However, before you do, check out other ways it can be used. Tarp – Lay your poncho beneath your sleeping bag when bedding down underneath the stars. Picnic Blanket – Lay out the picnic spread over your poncho which will keep things dry and is a breeze to clean. Bag Liner – Empty your bag and line it with your poncho to keep wet clothes from seeping through. Emergency Rain Shelter – String it up and use it as a shelter during rainstorms. 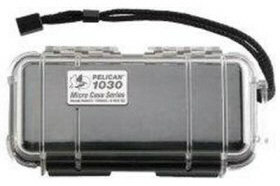 Pelican makes a line of cases to keep your valuables from getting wet. Higher end cases are tailor-made for cameras and electronics. Smaller micro cases are great choices for backpackers. Keep the Dry Things Dry – Put wet clothes or swimsuits in the case to separate them from dry clothes. Lunchbox – Store leftovers and snacks in the case for long bus rides or picnics. Organization – The boxes can also be used to organize things like socks and camera equipment in your pack. Whether you’re packing for a weekend getaway or a year-long venture, travel lighter and smarter by packing items that serve many functions without taking up a ton of space.